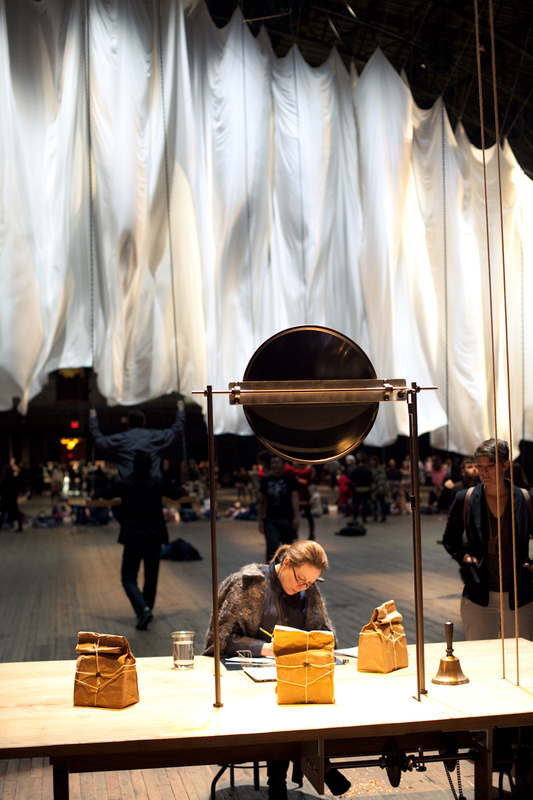 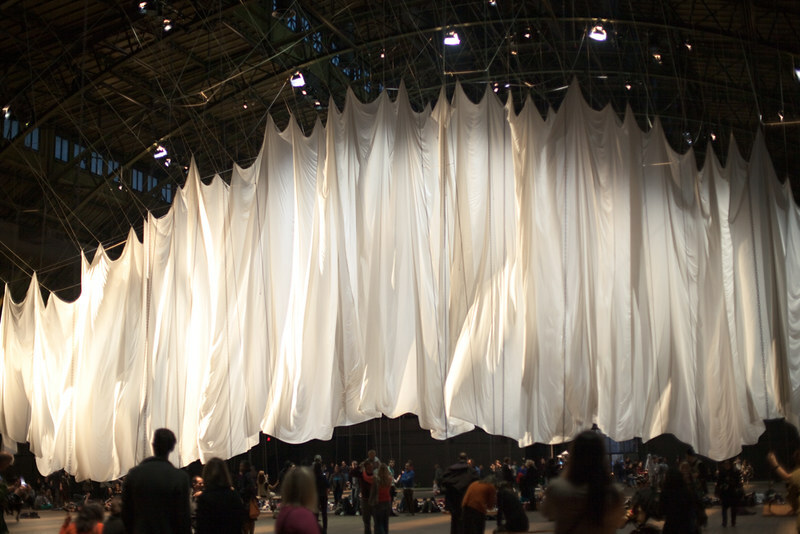 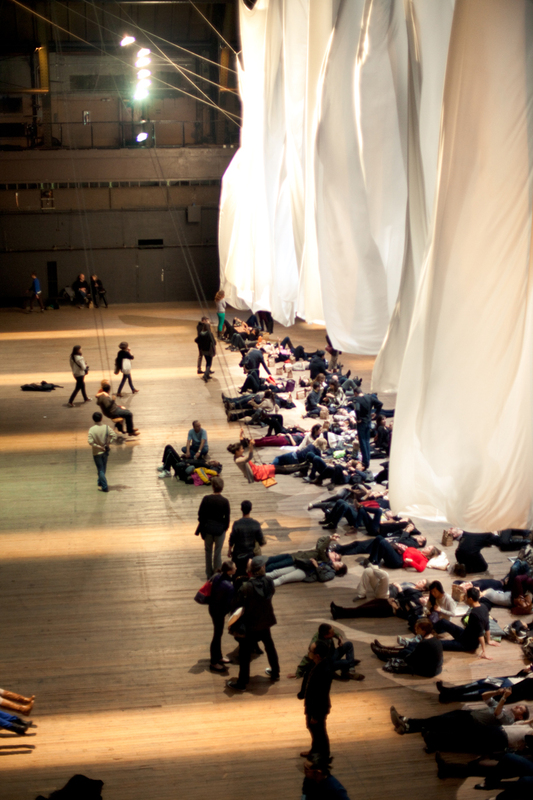 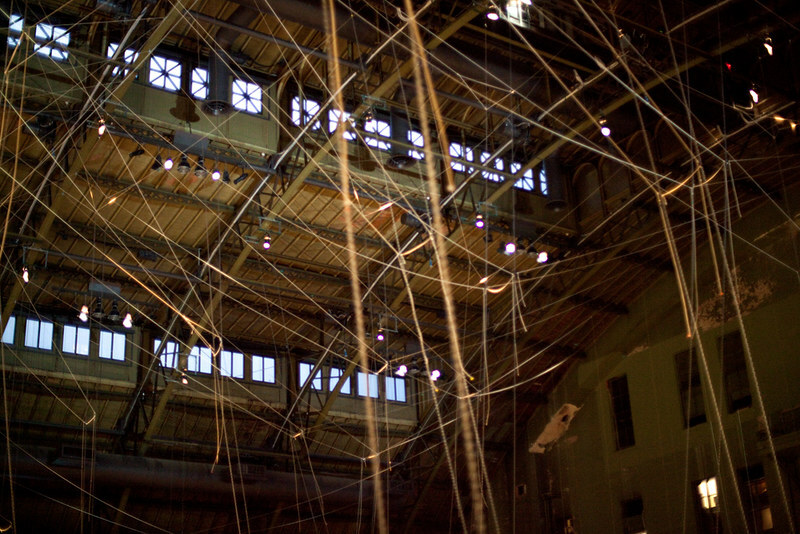 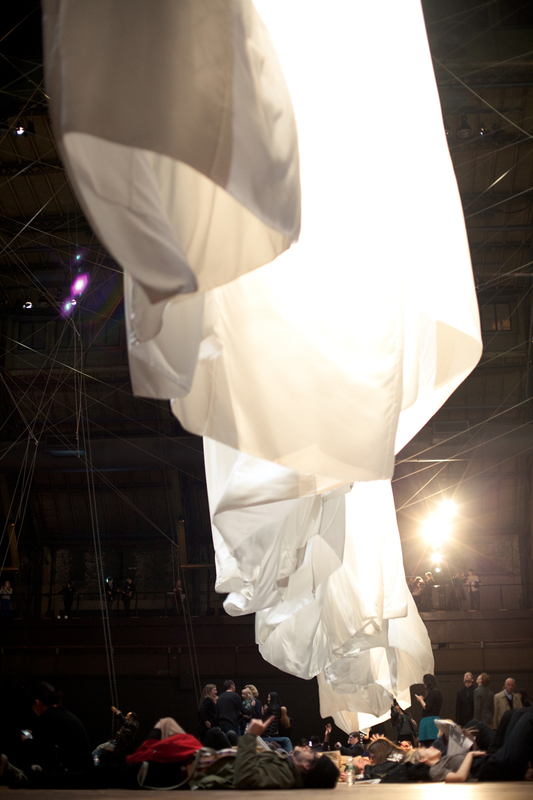 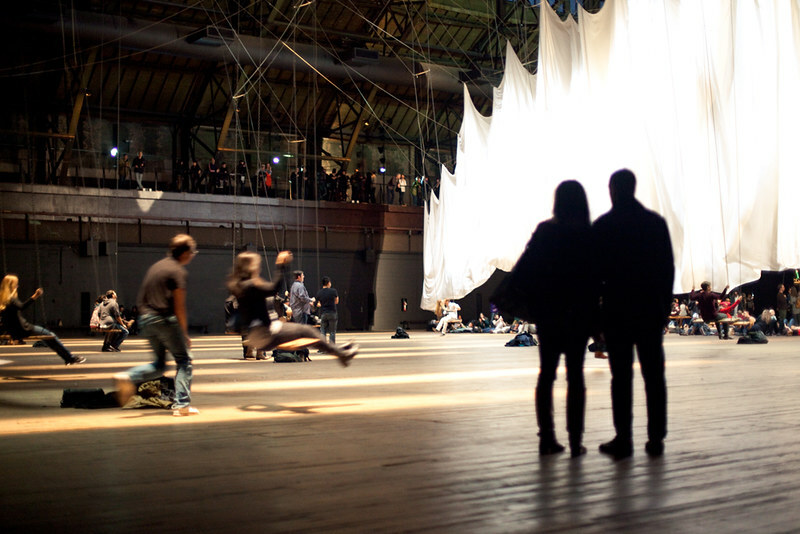 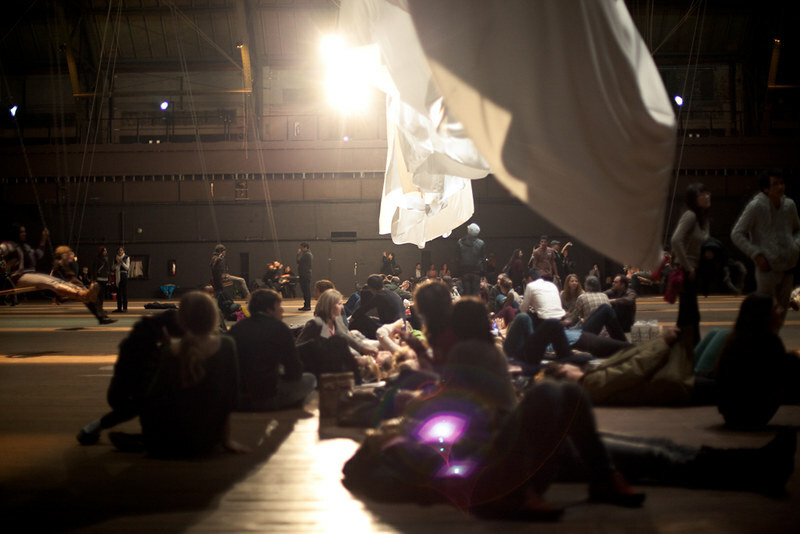 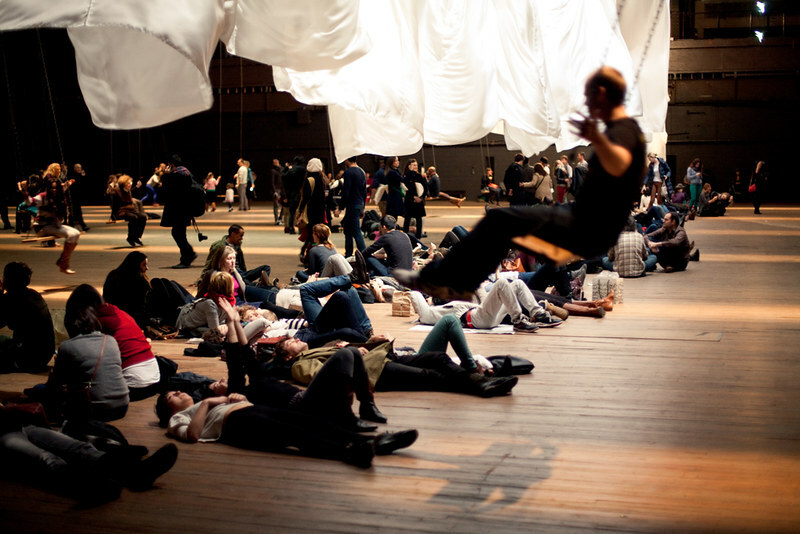 Over the weekend, I went to check out Ann Hamilton's show "The Event of a Thread" at the Park Avenue Armory. 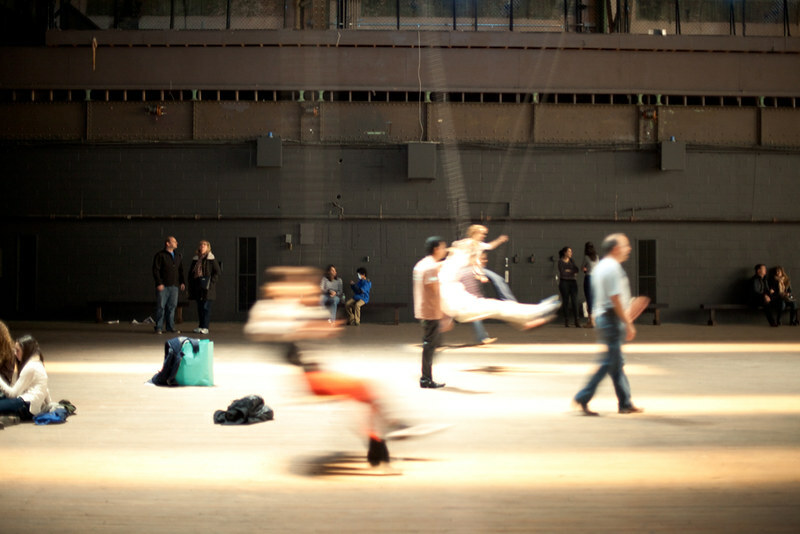 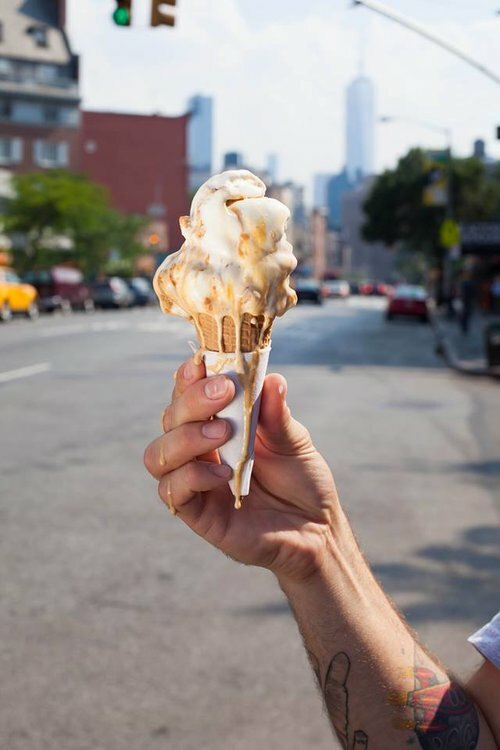 I'm not a big arty person (yeah even though I minored in Studio Art in college and went to ITP), I do enjoy the occasional stroll through museums. 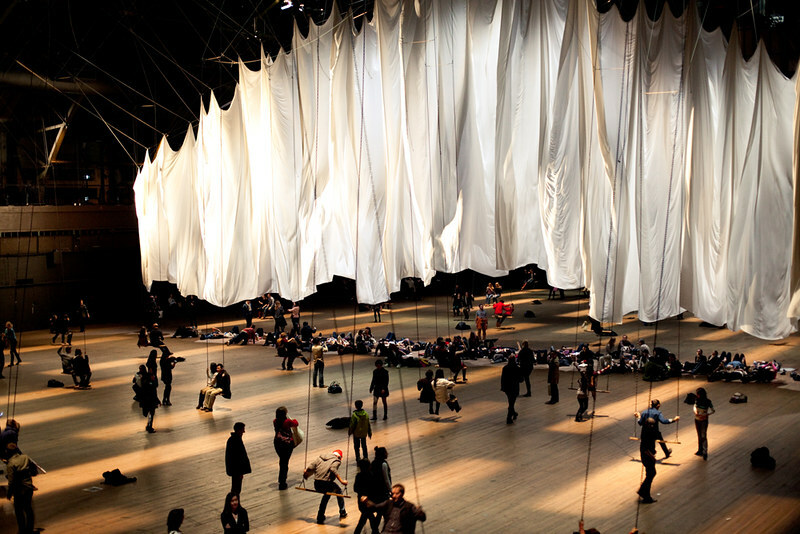 I find some art a little hard to understand and mostly just a bunch of BS. 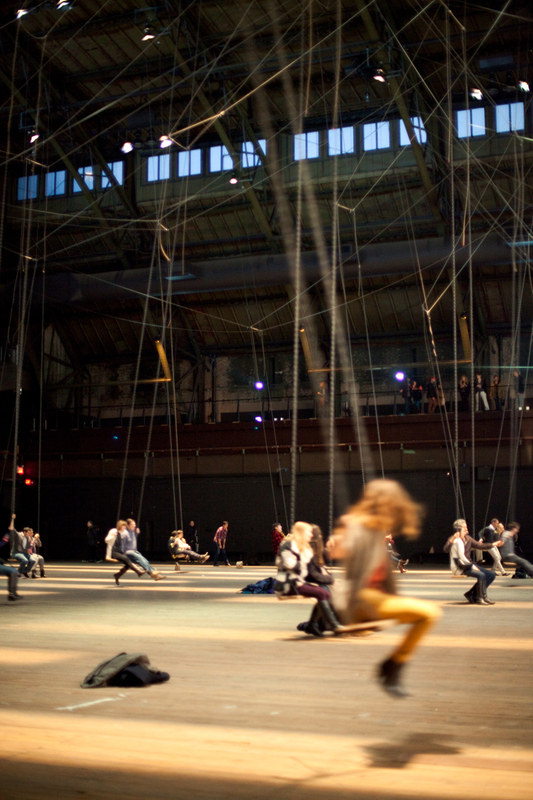 Then there are art like "The Event of a Thread". 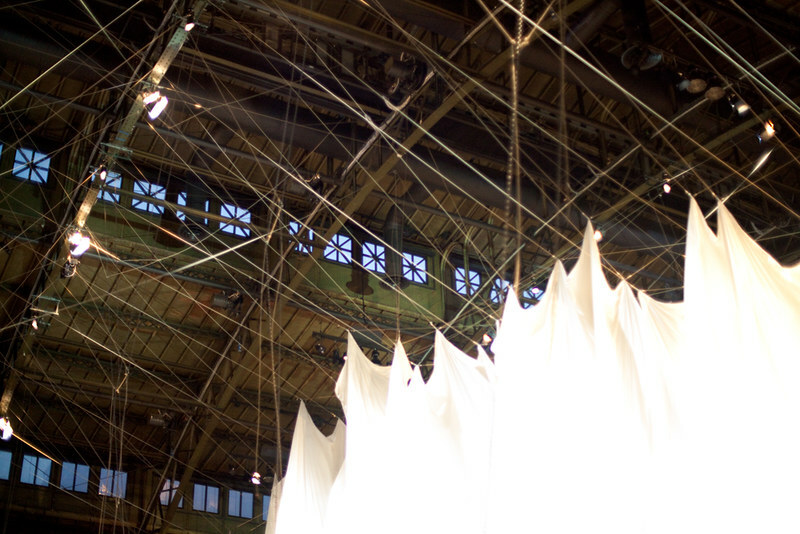 My first impressions, magical, fantastical, whimsical and just in awe of the scale. 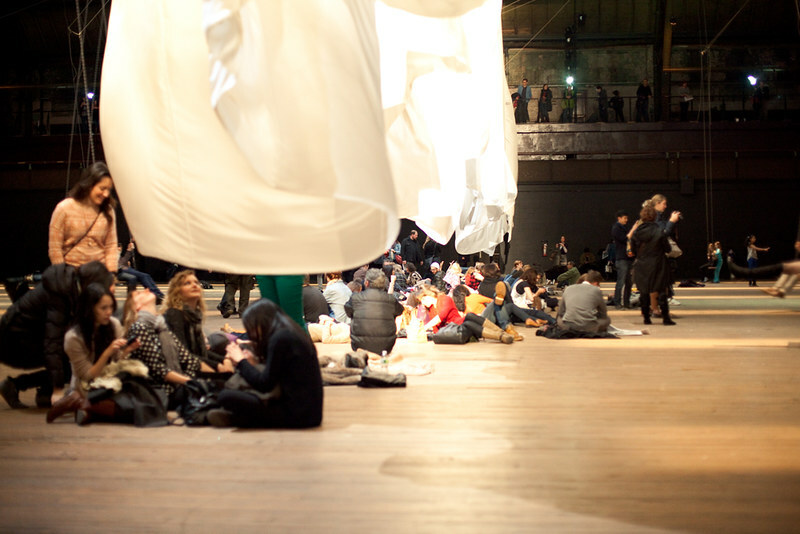 There were aspects of the show which I didn't really get (like the people sitting at the tables writing and reading) but it added a sense of mystery to the piece. 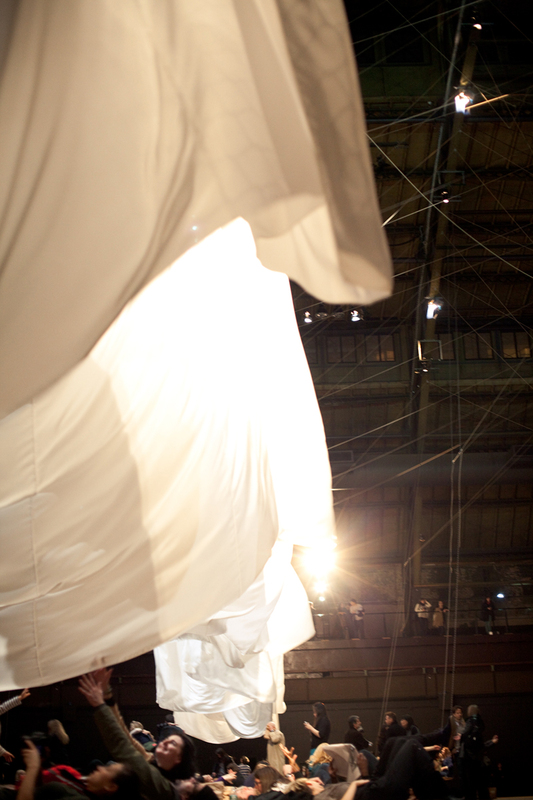 Though the thing I took from this show was the idea of collaboration. 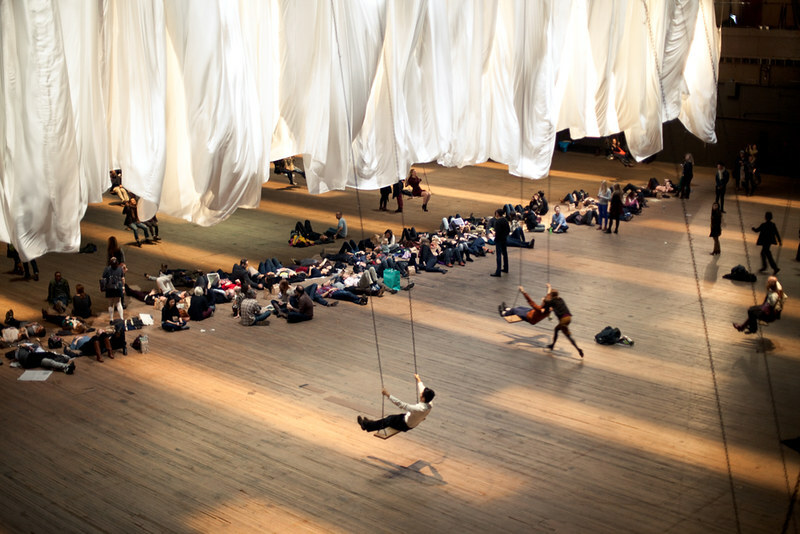 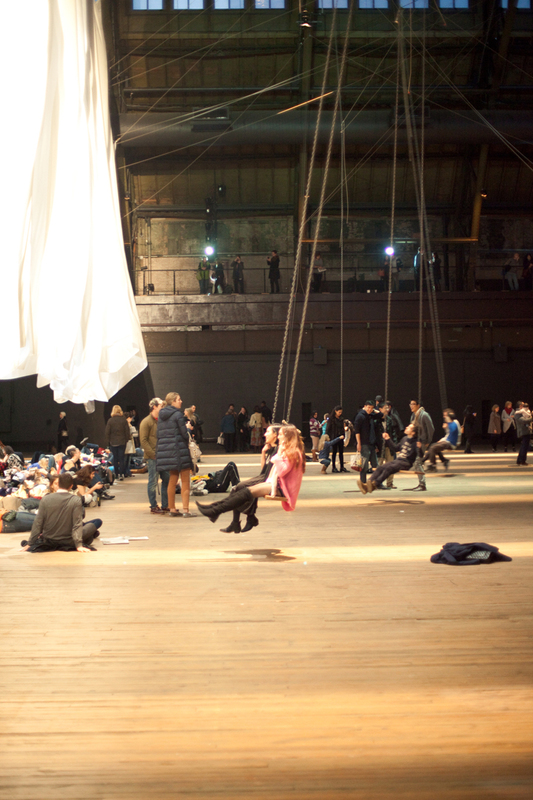 The more than a dozen swings were what moved the big piece of white fabric hanging in the middle of the armory. 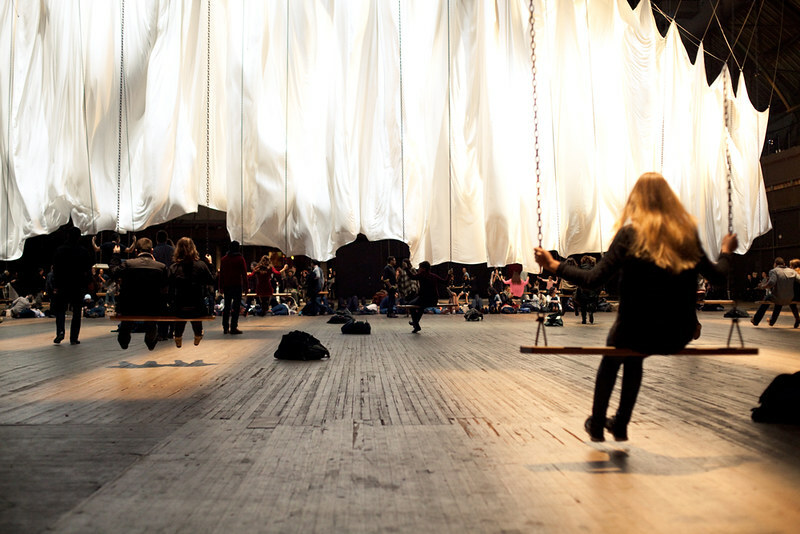 It required all the swings to be in motion to move the piece of fabric. 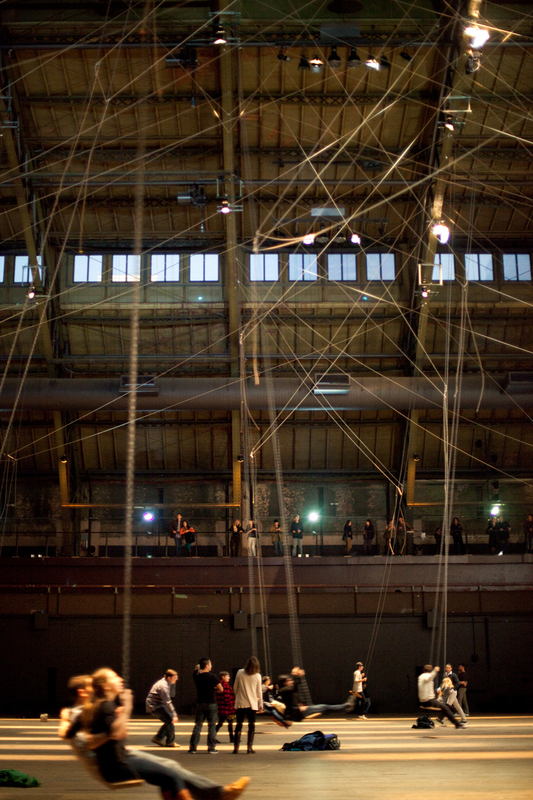 Collaboration, team work, each swing was an important part of the whole piece. 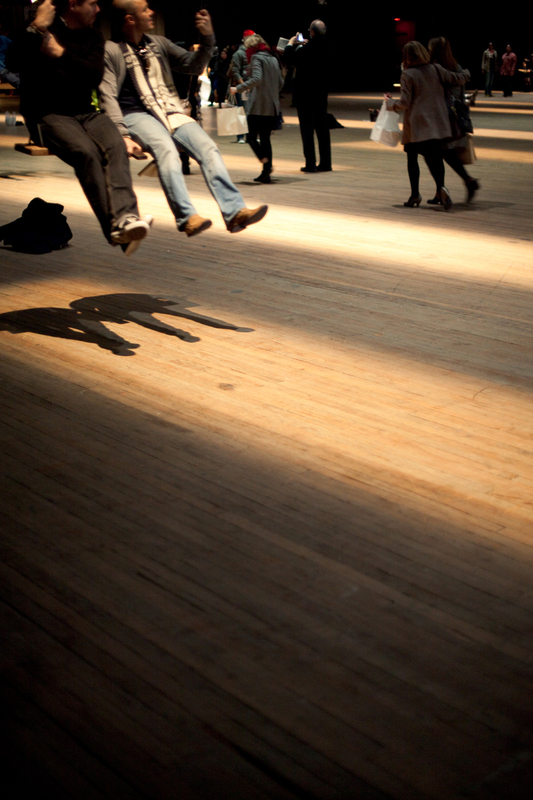 Also it was just fun to swing like a kid again.